A design object as a pendant lamp: the AIM LED Cable + Plug by Flos, made by the design brothers Ronan and Erwan Bouroullec, questions two fundamental principles of the light design. The first principle is the geometric middle of the light point: lamps are mostly hanged central in the middle of the room. For the AIM LED Cable + Plug this doesn’t matter anymore since the grounding is achieved through a long cable. 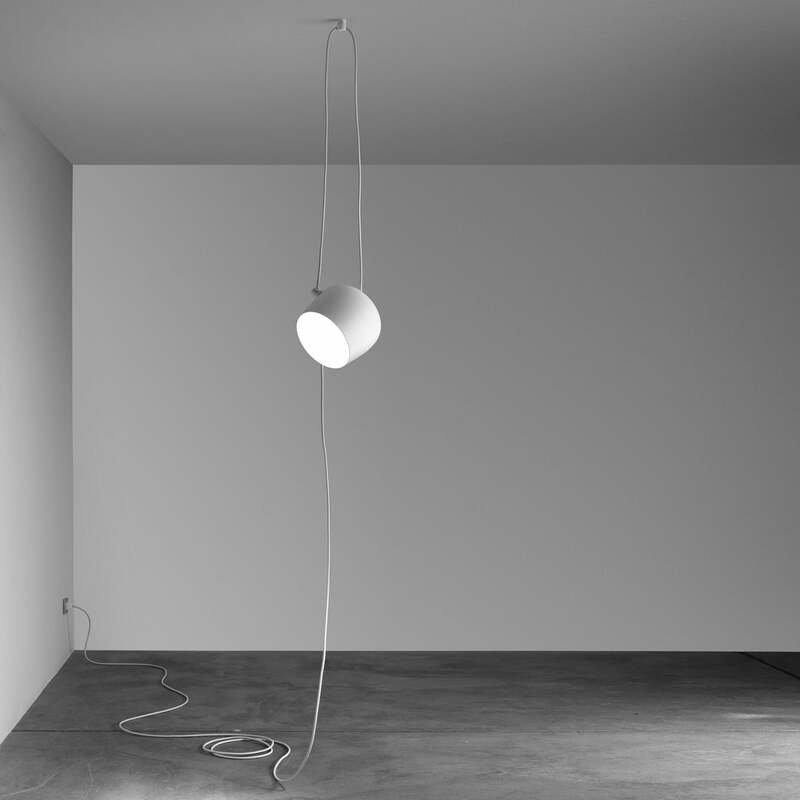 For the second principle, both designers have to break with the assumption that the cable is a pure means to an end, and therfore has to be hidden: the AIM by Flos presents a cable forest with impetuous lines and aesthetic function. The head of the AIM LED Cable + Plug can be mounted at any desired height with a changing inclination – this absolute freedom allows unique combinations. The installations, which thereby emerge, remind us already more of an artwork than of a design! The direct, clear light of the Flos lamp is suitable for living rooms as well as to illuminate single objects. 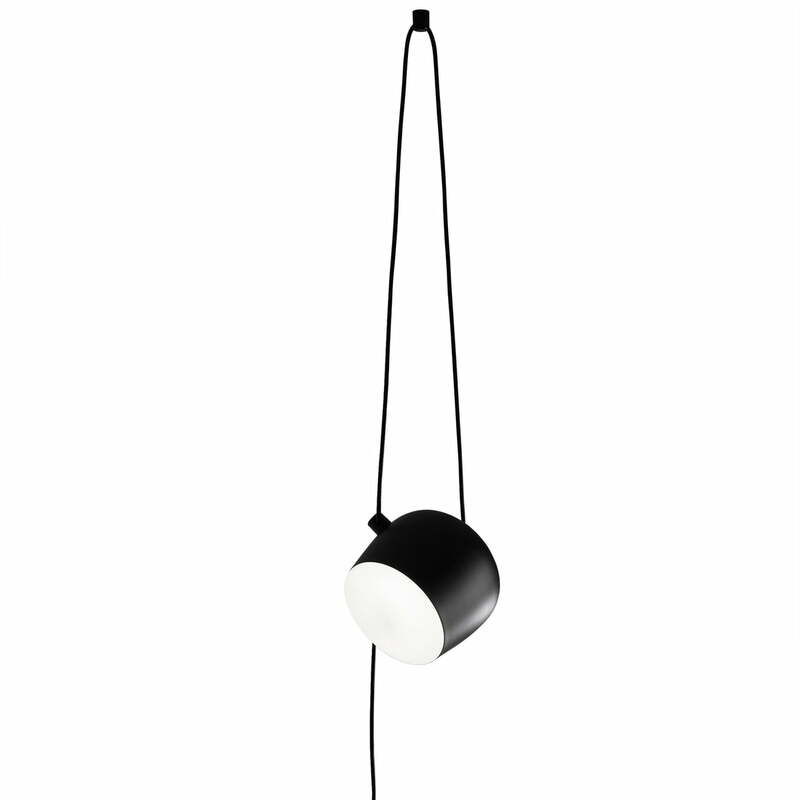 In the Cable + Plug version, the lamp by Flos offers also a plug, and therefore can be connected to a socket. As a result, not only completely new options in lighting beyond the classic pendant lamp arise, but the installation is also faster and more flexible, so that the AIM Cable + Plug can quickly change the rooms. The dimmer and on/off switch is placed on the cable. 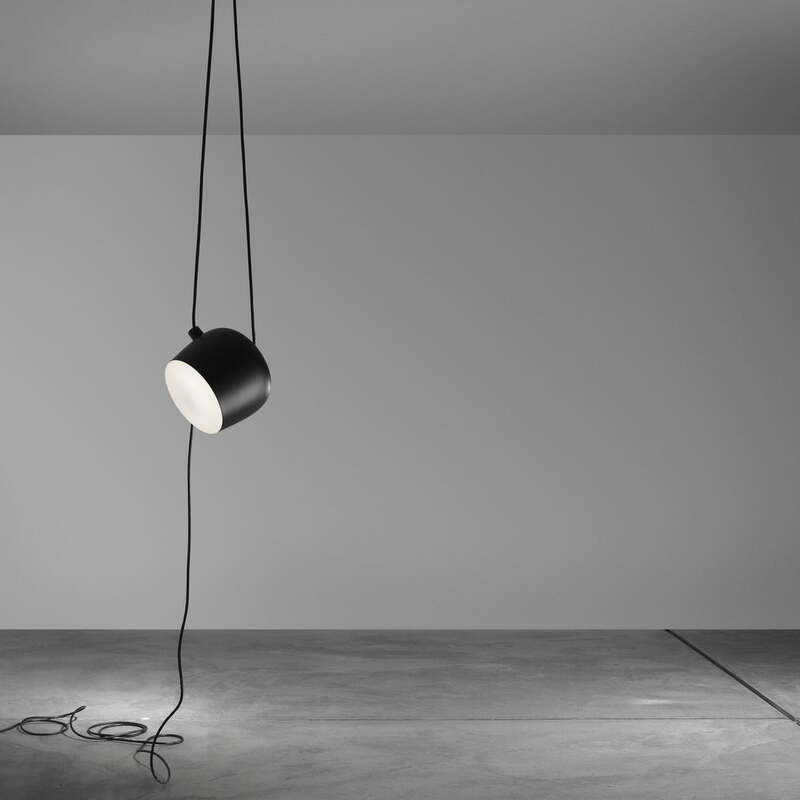 As AIM LED Pendant Lamp, the innovative lamp by Flos is also available as an alternative for the ceiling installation. 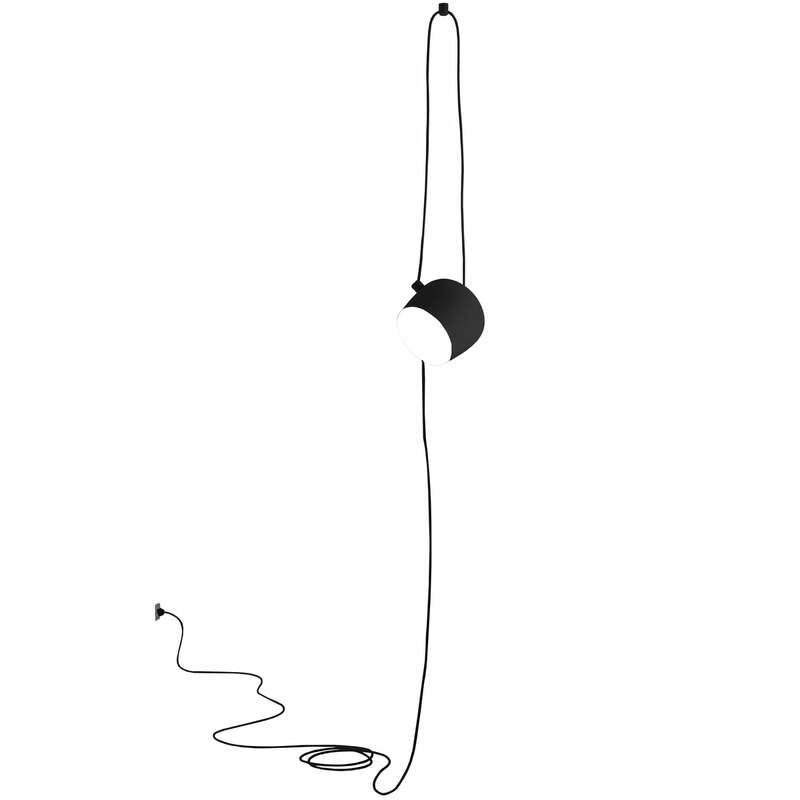 Flos produces the AIM Cable + Plug out of polished aluminium, ABS and polycarbonate. Thanks to the dimmable LEDs, the AIM pendant lamp is energy-saving and can create different light moods in a room, while the 9 metre cable suits any different suspension variant. 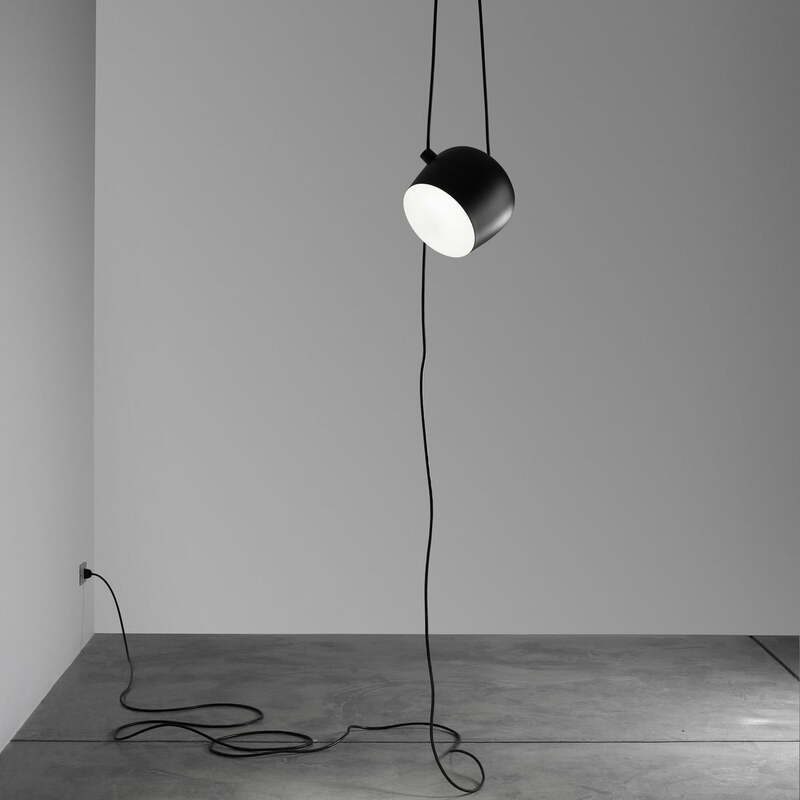 Details cable length: 9 metres, the lamp can be suspended 3 metres from the ceiling. Wall plug version and dimmer / switch on cable.